Manuel Juarez es el Abogado de Derechos de Inquilinos en el area de la Bahia. Defiende a inquilinos contra el abuso de propietarios propotentes. El Abogado Juarez es litigador de problemas de viviendas inhabitables, casas sin calenton, incendios de apartmentos, casas, edificios, apartmentos sin calefaccion y mal mantenidos, viviendas defectuosas y evicciones retaliatorias. Si Ud. tiene problemas con su calenton, ducha, o ha sufrido una caida en el piso de su ducha. O su vivienda esta infestada con ratas, cucarachas o chinches, llame al Abogado Defensor de Renteros, Manuel A. Juarez. El defendera sus derechos de inquilino.en la area de la bahia y en selectas ciudades de California como Oakland, San Francisco, Richmond y Concord. Manuel A. Juarez is a Tenant Rights lawyer in the Bay Area. He focuses his practice in defending tenants faced with housing problems, warranty of habitability and retaliatory evictions. In 1999, Mr. Juarez founded The Law Offices of Manuel A. Juarez. Since then, Mr. Juarez has represented numerous high-profile clients in State and Federal Courts. Mr. Juarez treats every client with respect and integrity and approaches every client with a focus on integrity, advocacy, and understanding. Mr. Juarez defends tenants with housing problems, such as: lack of heating, sewer back-ups, fires, rats, bedbugs, other cockroaches and or badly maintained housing or apartments. If your landlord is unresponsive, when you complain regarding your housing issues, call me at (510) 206-4492. I will defend your tenant rights. Activities: Alumni Association Vice-President, Alumni Association President 1994. Member of the Alumni Board since 2004. Vice President 2008-2010. Requested funds from the SIUE Student Senate and Sponsored an Economic Symposium featuring among the most illoustrous: Professor Martin Bronfenbrenner, Walter Heller, Chief Economic Advisor to President John Kennedy. 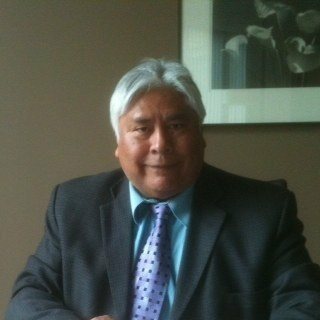 Attorney Manuel Juarez serves the Hispanic Community of the East Bay, San Francisco and surrounding Counties of the bay area. He provides legal advice to tenants in the areas Landlord Tenant warranty of habitability issues. Advised the Chairman and Leaders of the California League of United Latin American Citizens. Legal counsel for the National Chairman for 4 more years to other chairmen. All personal injury cases are on contingency. A description of legal services for auto accidents .